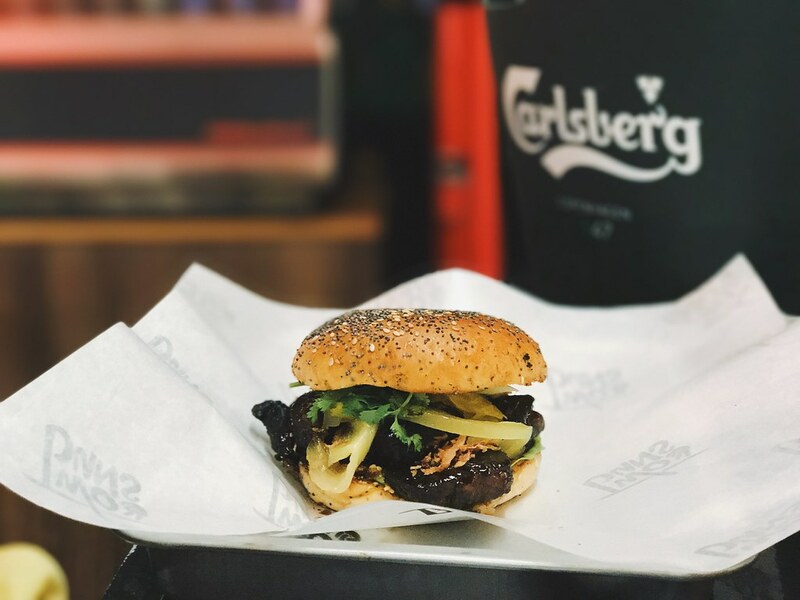 Two Buns, a very hispter burger shop on Carnavon Street, blends well with beer, that’s where their tagline comes in – ‘Burger & Booze’. 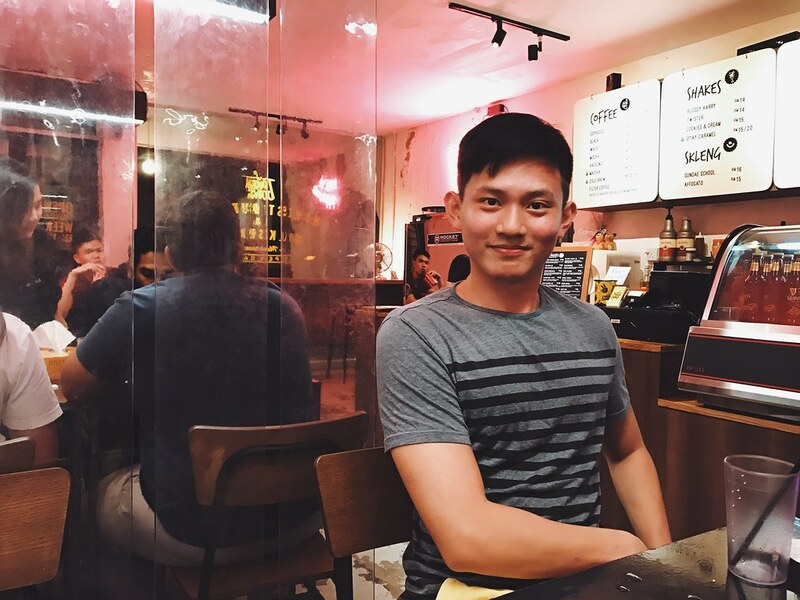 Hello, I am back again, after hiatus for more than a year and I find it exciting to write a blog post, sharing good food; and no, this is not a sponsored post. Just came across this hipster outlet a few days back while running errand in town. 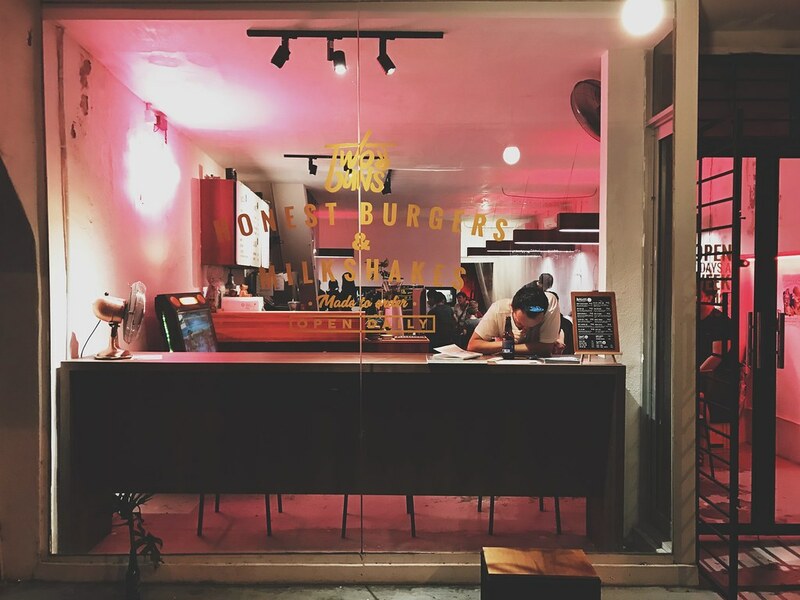 The artsy minimalist decorated eatery caught my attention, and the combination of burger and beers is just tempting. Invited a few friends along on a Saturday night for a burger night out. 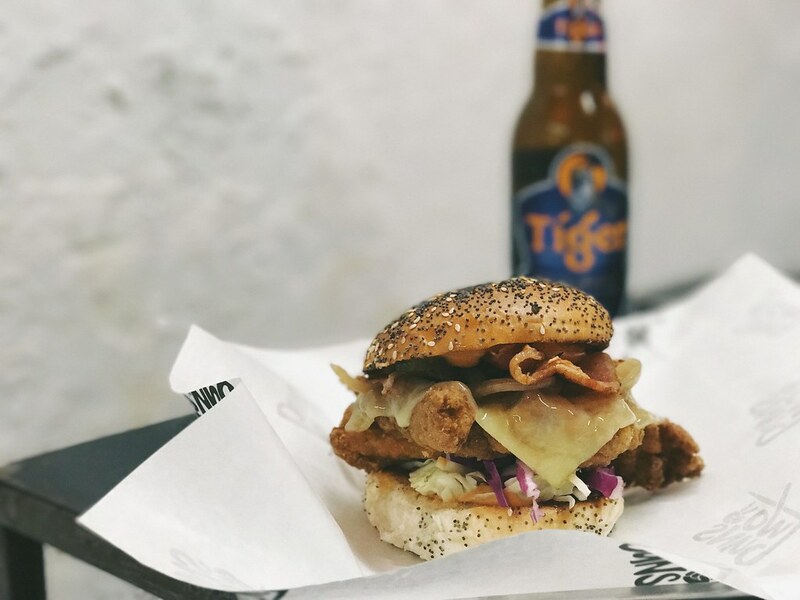 Burger starts from RM10, and bottled Tiger, Heineken, Guinness and imported craft beer are available. Settled with a bucket of the mighty Tiger (RM65) and a Don Pablo (RM15) burger for myself. Don Pablo – Deep Fried Chicken, Bacon & Cheese sandwhich is fragrant sesame bun. Char Siu Pork Burger, sweet enough but I still like Don Pablo more. 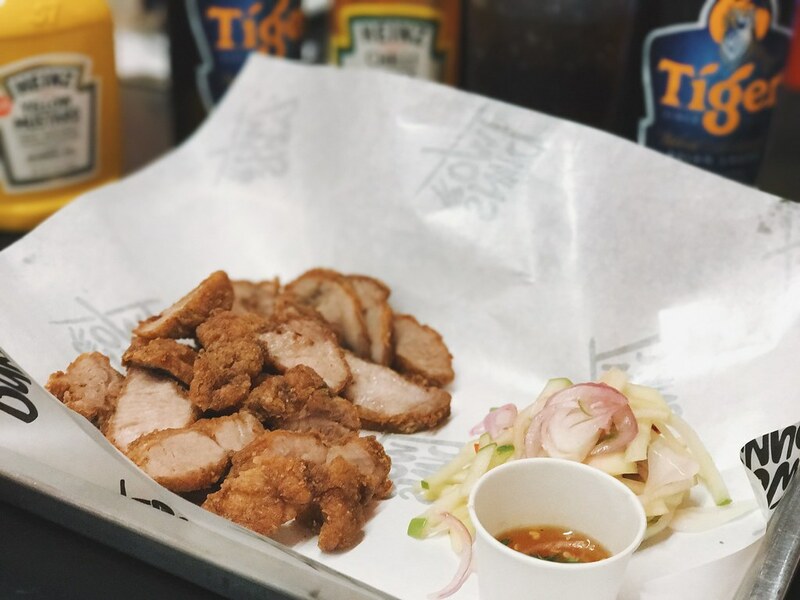 Thai-style Sio Bak (Roasted Pork) with sweet chilli sauce. Crispy enough, but cooled when serve. Got to improve a little on that yo. I was just happy that they are not another black charcoal burger copy-cat. I am sicked of everyone copying each other. Classic sesame bun is still the best. 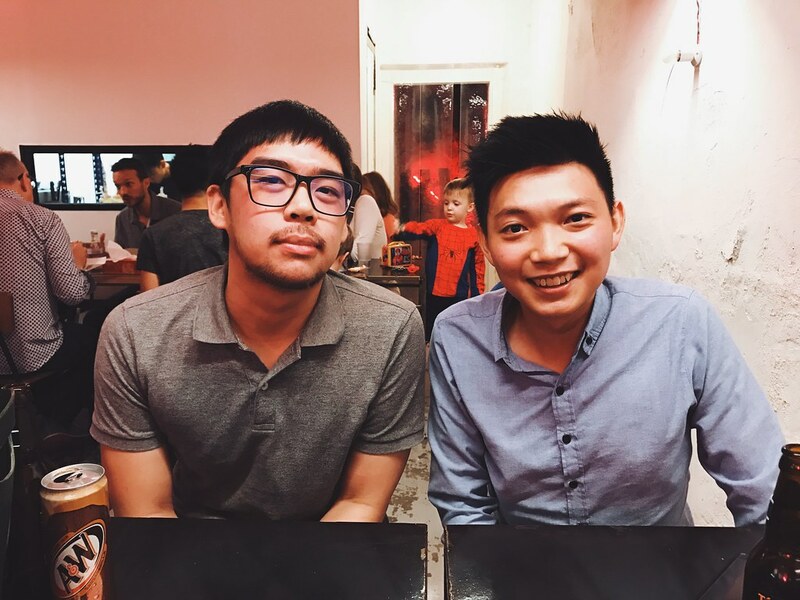 One thing that needed to improve – THE LONG WAITING TIME! 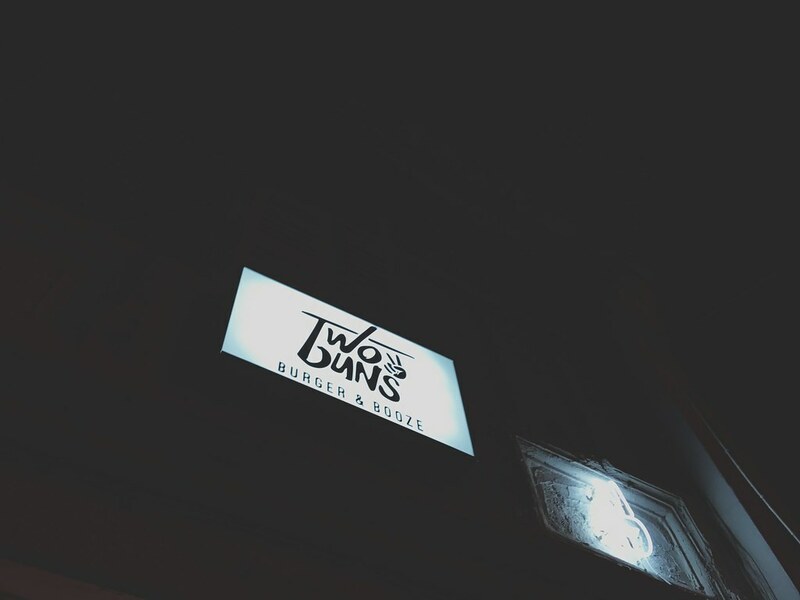 Two Buns – Burger & Booze is at No. 177, Lebuh Carnavon, 11000 George Town. See their Facebook page for more detail. Parking is available by the roadside!